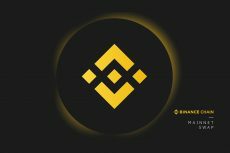 The world’s leading cryptocurrency exchange, Binance has entered the Singaporean market launching a beta modul of the fiat-to-crypto exchange. Hardly there is a better place for innovations than amidst one of the “Forth Asian Tigers” well-known for the dramatic economic growth and accelerating industry development. Balancing at the forefront of technical revolution, a cryptocurrency is the most cutting-edge innovation and Asia is evidently the fittest location. The same flow of thoughts seems to reign inside the minds of Binance creators since the world’s largest exchange by daily trading volume expands the business reach onto the Asian region picking Singapore as a next headquarter for their new fiat-to-crypto exchange. Quite recently Coinspeaker has reported that the exchange signed a memorandum of understanding with the Malta Stock Exchange over the launch of a new digital exchange for security token trading. 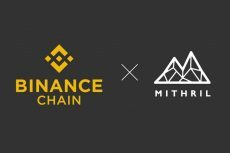 It is rather obvious that Binance takes active steps towards the global dominance in the crypto-industry, in the meanwhile the exchange confirms the aggressive drive with the new offices operating in Malta, Jersey, South Korea, Uganda and Liechtenstein. The next to join the list of exchange’s contacts is Singapour. According to the announcement made the other day by the Binance CEO, Changpeng Zhao, in his Twitter account, the next crypto-fiat exchange that is going to be rolled out by the company will find its home in the second most attractive business hub based on the Word Bank research, namely Singapore. Prior to posting the news on Twitter, Changpeng Zhao first revealed the plans to launch the fiat exchange while speaking at a recent blockchain event led by crypto assets-specializing firm Cumberland. The conference also featured the famous industry disruptors including Tyler Winklevoss, co-founder and CEO of crypto exchange Gemini. So far only a few operational details have been disclosed. The fiat exchange is said to be launched in a beta-testing version and in order to trial a new framework users will have to receive an invitation. 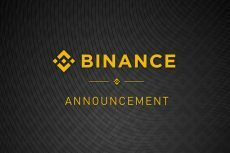 It is likely that Binance will offer Singapore dollar trading pairs. Although the fiat-to-crypto exchanges remain an actual novelty within the industry, they reveal a vast spector of opportunities available for investors. From a Binance point of view, opening a fiat exchange improves its users’ experience by enabling them to seamlessly convert across several fiat currencies and then make transactions directly from the exchange account using the new currency. Even more significantly, fiat to fiat exchanges generally offer users interbank exchange rates as against retail exchange rates, which means that users get more for their money. Speaking on the Binance’s choice of Singapore it is worth to mention the country’s business-booster logo that successfully maintained by tax loosening policy and fixed regulatory environment. Despite of the fact that cryptocurrencies are not recognized as a legal tender, the country in the heart of Asian became a harbor for numerous blockchain-based enterprises, since the cryptocurrency exchanges are allowed to seamlessly operate at the market as long as they adhere to AML and CFT requirements.